Bathroom cabinets range in height depending on when they were manufactured and the company or individual who constructed them. Standards shift with design trends and changes in the general population; as people become taller, so do cabinets. The countertop adds an inch or two to the cabinet's height. Standard bathroom cabinets commonly reach 29- to 31-inches above the floor. This height works well for a bathroom primarily used by children, but tends to be uncomfortable for adults. Modern standards aim to strike a balance between short cabinets suitable for young children and tall cabinets ideal for adults. Standards range from 32- to 36-inches depending on the style of cabinet and manufacturer. 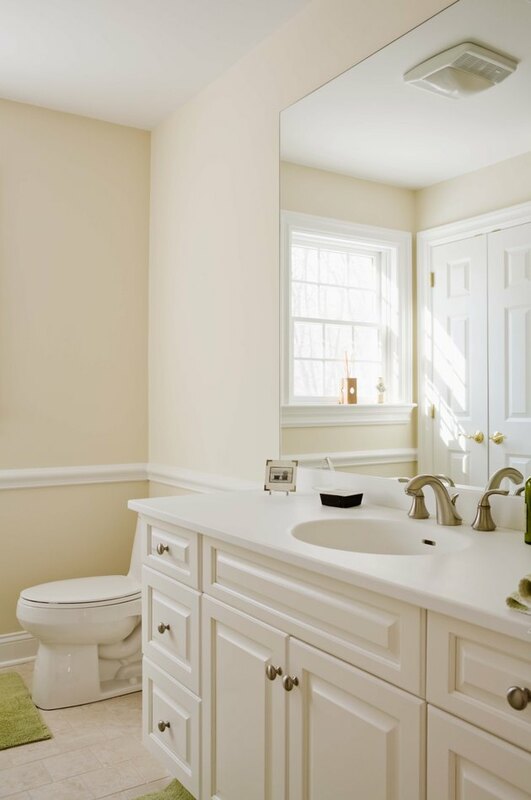 Bathrooms utilized primarily by adults tend to feature cabinets on the higher end of standards. Manufacturers offer pre-fabricated cabinetry ranging from 36- to 38-inches high. Anything taller than this is typically only available in custom cabinetry, but high-end cabinet manufacturers may offer designs that exceed this, reaching up to 43-inches.